I’ve had the good fortune to travel all over the world for CRS. Being exposed to new cultures and customs is a reward in itself, but recognizing the similarities that we all share is life affirming and a comfort. We may all have our challenges, but I’ve found again and again—in spite of the challenges—the ability to feel and express joy is universal. With this in mind, we’ve collected photos by some of our best photographers around the world to brighten your day as you start the new year. These are the Smiles of 2017. 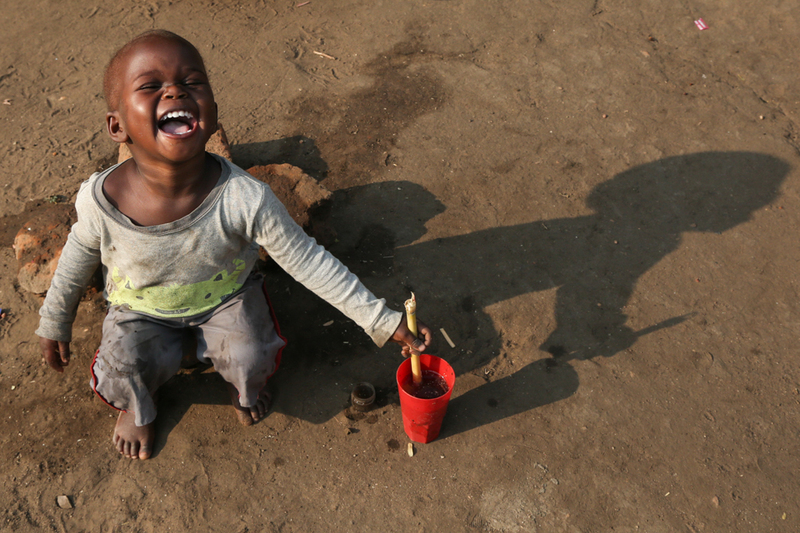 Ruth Linyama laughs while pretending to make nsima, a staple food in Malawi, out of mud and water. Her parents participate in the CRS THRIVE II program to learn how to give their children the best possible start in life. Vo Van Bin smiles while taking his cows out to graze. 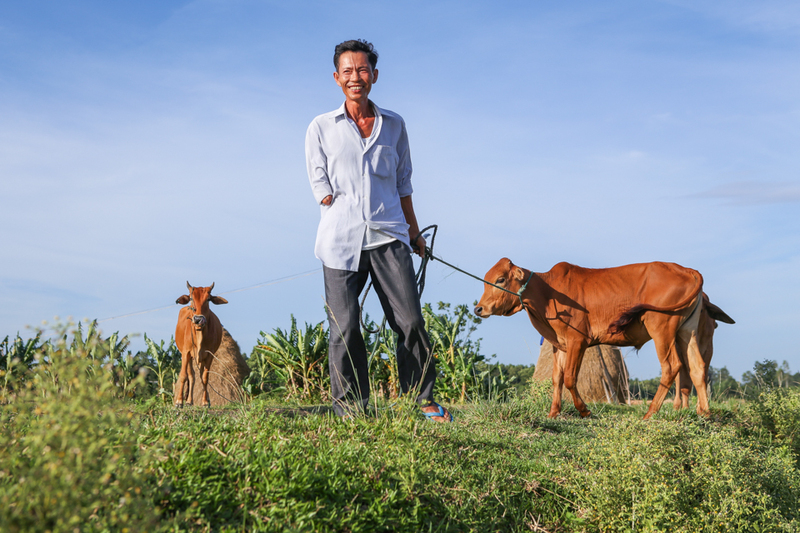 Thirty years ago he lost his right arm and damaged his right leg after triggering an unexploded landmine while clearing his farmland. For years he struggled to provide for his family, but recently received a loan to purchase these cattle and earn a living once again. Photo by Lisa Murray for CRS View Lisa's work. Agnes Adera Aroma shares a loving, tender moment with her niece, Azzy Sherly. 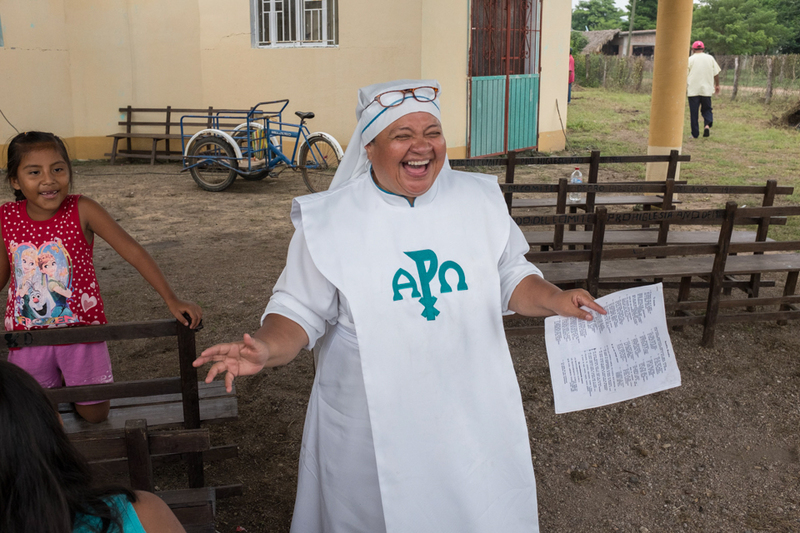 Mother Berta López Chávez leads Mass celebrants in a joyful song in Huamuchil, Oaxaca, Mexico, where an earthquake struck just days before, devastating the surrounding communities. 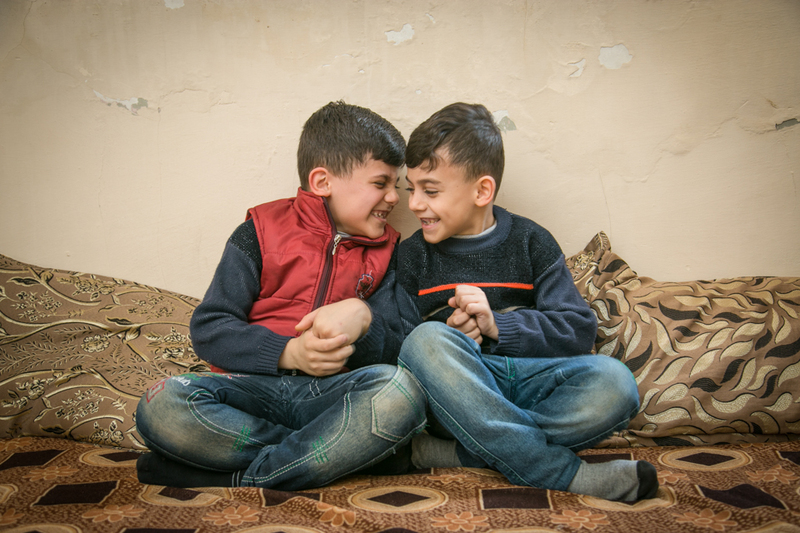 Majd Nasser Hassan (left) giggles with his younger brother, Sam Nasser Hassan. Their family is one of 3 million displaced Iraqis since 2014 who were forced to flee their homes to escape the violence of ISIS. 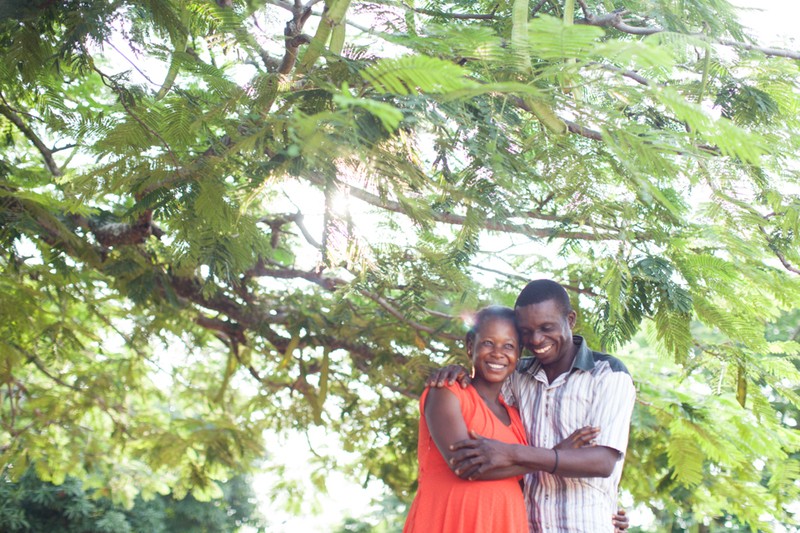 Jennifer Anongo and her husband Agbidye Anongo did not always look as happy and content as they do in this picture. Once he started attending Men’s Forum meetings, where men gather to discuss family issues, he started to change the way he treated Jennifer and strengthened their relationship. Biak New Sung lovingly watches her daughter Thian Za Tling explore in their garden. In 2015, Biak’s family lost their home after the land underneath their home gave way in a small slide. For now they live in a makeshift kitchen until they can afford to start building a new house. Photo by Jennifer Hardy/CRS Follow Jen on Instagram. Follow Jen on Twitter. 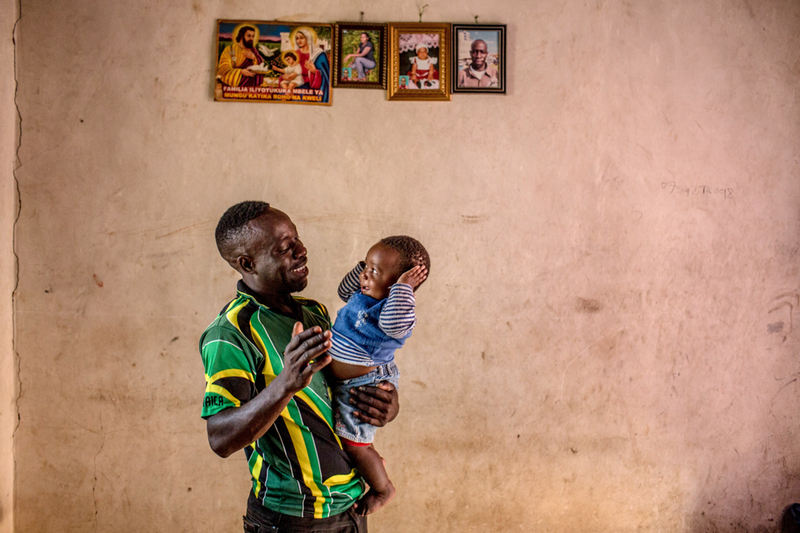 Frank Emmanuel Lupemba and his daughter Yustina Frank play a silly game together in their home. Through the CRS THRIVE II program, Frank was encouraged to spend more time with Yustina to help her reach her full potential. Photo by Daniel Etter for CRS View Daniel's work. Follow Daniel on Instagram. 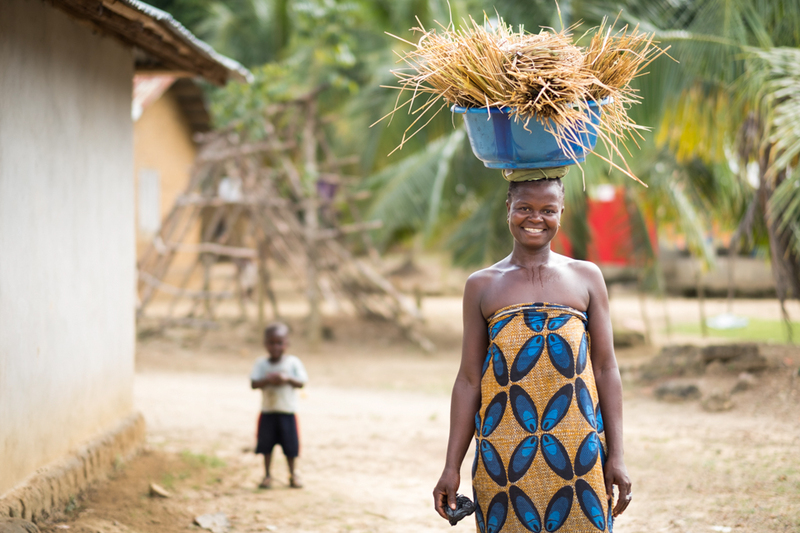 Abie Konneh smiles as she carries harvested rice through the village of Longeama, Sierra Leone. Her district was identified as one of the most vulnerable in the aftermath of Ebola, and is being helped through a food security program. Khadija Moussa beams as her doting father picks her up for a hug. 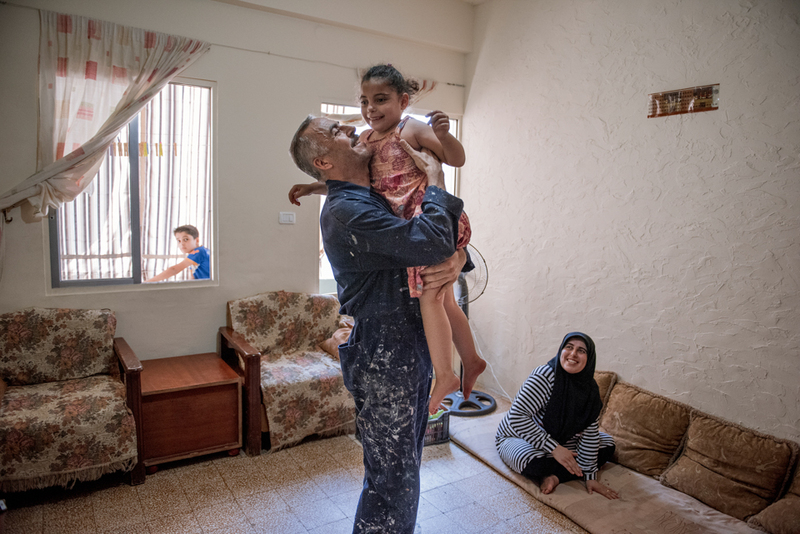 She and her family moved to Lebanon five years ago during the Syrian crisis, a challenge made even more difficult by Khadija’s physical disability. She is part of a program that helps Syrian refugee children with disabilities receive the care and support they need. 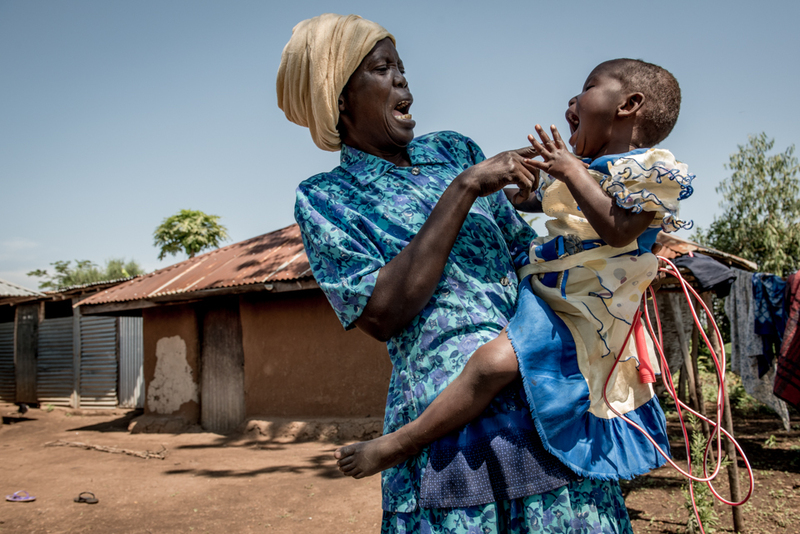 Young Passy Stacy Achieng and her great grandmother Mary Odero Okuta play a lively game together outside their home. 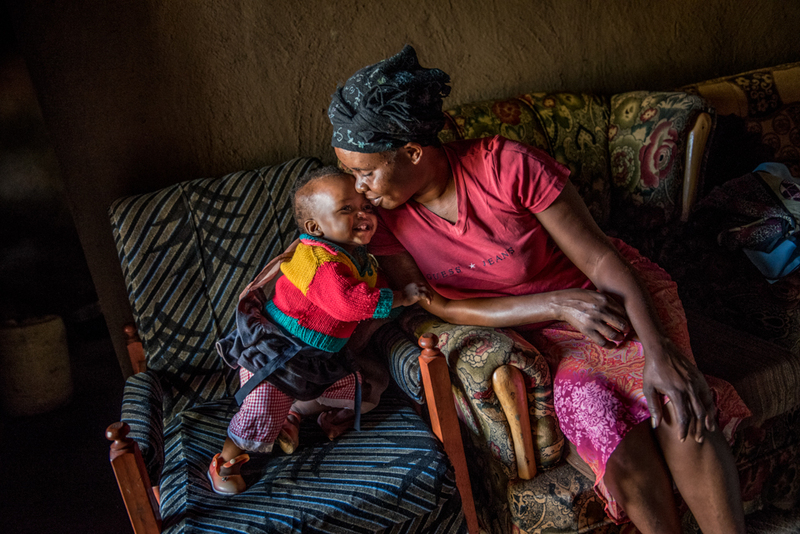 Passy spends most of her days with Mary, as Passy’s mother is only 15 and finishing her schooling during the day.